Avail Trusted Payment Gateway Integration Services from UAE Website Development. Payment Gateway UAE: In this highly evolving digital world, most of the consumers prefer not to waste their valuable time on physical shopping. Instead, they choose online shopping because of its user-friendly and convenient features. Online shopping is opted by most of the people nowadays as here, people can choose and purchase products and services right from the comfort of their home and chosen preferences. 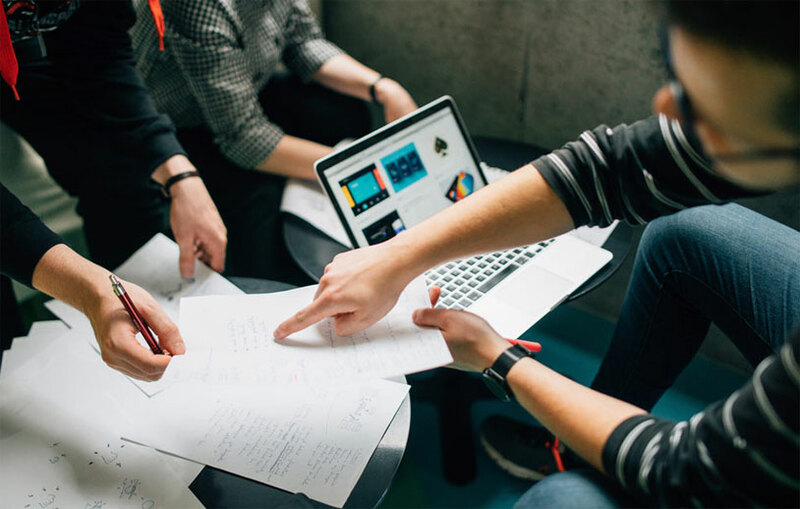 Thus, various entrepreneurs and business owners aim to grow their business online and as a result, they essentially need suitable Payment gateway services in Dubai. Due to this, the payment gateways are also gaining huge success, as it is making online payments quite easier and faster as well. Therefore, the demand for purchasing products and services through online shopping websites has increased. With online shopping, the e-commerce market is maturing at a phenomenal pace. Even the online merchants aim to increase sales and for that, the payment gateway integration services become essential. If you want to have a successful online business, it is essential to integrate a payment gateway to your website for secure payment. A payment gateway is a software application which works as a service provider to connect the website with the bank. At the same time, it allows the customers to pay their bill online right on the spot during the purchase. It is actually an online manifestation of a real point-of-sale terminal that you get in retail stores. By transferring the key information between websites and banks, it makes the user experience smoother and more secure. Thus, these payment gateway services in Dubai are used by different e-commerce websites and non-profit organizations. You can choose any of the two seller accounts, dedicated or aggregated, depending on your preferences and choices. The integration with the aggregated seller account is an easy approach as it provides lesser information on the financial implications of your business. Whereas, the integration with the dedicated account is quite time-consuming and complicated as well. Because here, a thorough check of the credit histories in all banks is required where you have been listed as a customer, as it is solely meant for your business. It is important to know the type of goods that you are selling, whether a digital content or a physical product. It directly affects the selection of the electronic money system. Because for different products, separate methods are used. Digital contents include payment through credit or debit cards, Net banking, etc. On the other hand, physical payment options include cash or by cheque mode of payment. You have to be PCI DSS certified to get the legal rights of handling customer banking data. As the security of the customers is of utmost importance and cannot be overlooked, hence you need to put in a more detailed attention to it. PCI DSS certification is a very important document for getting permissions. It adds benefit to your organization and is also compliant with the industry standards for the payment card industry. Smart integration with other tools likes shopping carts, accounting software, etc. When you create an e-commerce portal, it is important to check that it is user-friendly and secure to use. Nowadays, more and more e-commerce business owners are integrating multiple payment gateway into their sites for the purpose of generating more sales. But with so many payment gateway integration options available in the market, it is difficult to decide which payment gateway will befit your online store. The ultimate decision will be always a tricky and critical one. Before you hurriedly narrow down to an inappropriate payment gateway for your online e-commerce business, let’s take a look at some attributes which you should consider before choosing any payment gateway service. While choosing payment gateways, it should be kept in mind that the time taken by the payment gateway to integrate should be an act in accordance with the launch time of the business. Not only will this facilitate the ease of integration but will also restrict the loss of opportunity. The pricing option is one of the most vital elements for any e-commerce business when it comes to payment gateway integration. Thus, it’s better if you opt for a payment gateway UAE Service provider who offers flexible pricing options. In order to ensure the effectiveness of the payment gateway, merchant-centric features are crucial. The payment page should be optimized to enable users across mobiles and must be customizable as per the requirements of the business. Why choose UAE Website Development for Payment Gateway Services in UAE Dubai? Considered as one of the best payment gateway integration methods for Dubai, Sharjah, Abu Dhabi, and Ajman, Telr is the company that you can trust. Improve your online business and leave behind your competitors with Telr through their significant services in digital marketing. You need to visit the website of Telr to create an account. After you have completed all the formalities, you will get the key to enter the platform and documentation along with their support page. Then, you need to navigate to the Account section in the website and provide all the necessary documents about your business. You can provide other details if you want the accounting system to acquire credit cards. You will get all the necessary details about the plans available in the account section. CashU is considered a highly reliable payment gateway integration method. It is a third-party service provider specifically for the Middle East and North African nations. The headquarters of CashU is located in the heart of Dubai. CashU provides its customers the facility to transfer all their funds to any local bank and charges an additional transaction fee of 2.9-3.3%. However, in the beginning, you will need to pay a small amount for the setup fee as well as a security deposit which are valued at AED 3680 and AED 36800 respectively. Furthermore, a yearly fee of AED 3680 to AED 11000 will be charged based on the volume of sales. The services of CashU are available in many Middle East nations which are UAE, Qatar, Oman, Bahrain, Jordan, Saudi Arabia, and Kuwait. Besides these nations, the services are also available in a couple of North African countries namely Egypt and Lebanon. PayFort is another company that rightfully makes to this list of the best payment gateway integration methods present in UAE. PayFort offers a payment gateway that is suitable for all types of businesses, be it a large organization or a small start-up. They deal in customized payment stack and also feature an algorithm that offers relevant customer options during a transaction failure. It lessens problems for integration because they provide a One Easy Integration solution to its customers. Started in Europe, today, Checkout has reached Middle East Asia due to its popularity and trustworthy services. Checkout offers the most secure payment gateway services and is also included in our list. The best thing about Checkout is that it possesses an easy setup feature and the support pages are also quite user-friendly. Furthermore, the transaction rates of Checkout are minimal compared to others. Carrying a transaction fee of AED 0.75 to 2.75% of the whole amount, Checkout easily wins the heart of many young entrepreneurs who are in their initial phase and are planning to set up a business in UAE. 2checkout.com functions as both a product as well as a payment vendor rather than functioning just as a single payment gateway service provider. The expense during its setup is around AED 180 along with a transaction fee of 5.5%. Additionally, you will be charged with costs that can reduce your profit amount. However, there is no serious competitor to challenge the security standards of 2Checkout. 2checkout takes up security parameters of their customers gravely and monitors each transaction that goes through the customers to the company. If 2Checkout senses any form of unusual activity, then it will take all the necessary steps to notify you immediately. PayPal is another famous company that scores high in our list. PayPal does not charge you anything to host your payments in UAE and also considers the security measurements of the customers sincerely. However, PayPal does not support AED currency, and neither does it provide its customer with an option to open a bank account in UAE. Nevertheless, you can use a VISA card to transfer money to your account, but it will limit the transfer amount of your money to the card along with the withdrawal of money from the ATM. This limit sanctioned can increase to up to AED 9128 with an additional fee charge of 0.25%. When it comes to Payment gateway integration in Dubai, the experts at UAE Website Development are the best to choose from. 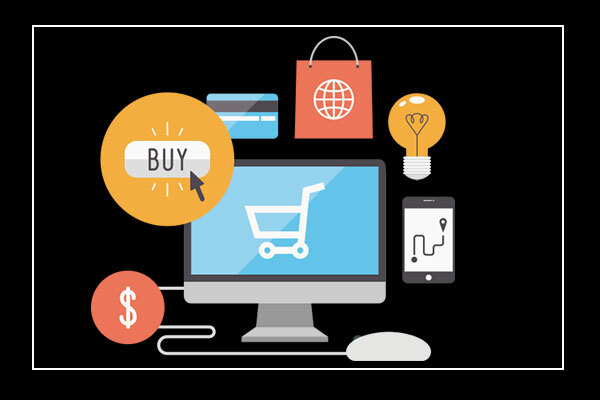 We provide authorized services for your e-Commerce store which not only influences the purchasing decisions of your potential customers but also fulfills your business requirements. You just have to place a call at our helpline number: 042053349 and interact with our experienced professionals to get instant solutions. Our experts are always available to provide you with the most trusted payment gateway in UAE along with other necessary solutions in your hour of need. In case you are getting a busy tone while dialing our helpline number, drop us a mail at our registered mail-ID. So, what are you waiting for? Reach us today to experience flawless services in your budget and make your online business shine. 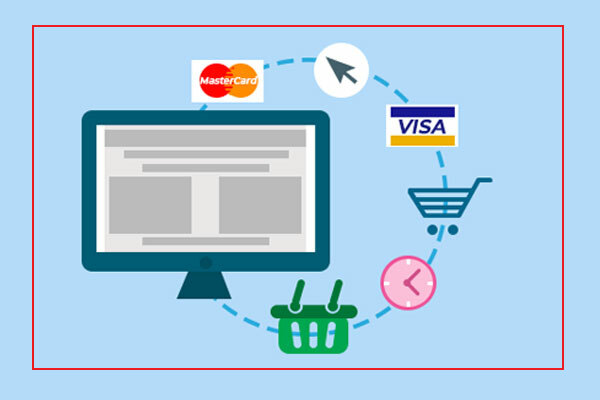 When you’re running your own ecommerce site, you’ll need to avail a reliable payment gateway for money transaction purposes. A payment gateway is basically a software application that performs the transaction from the bank to the ecommerce website. Credit and debit cards, eCheck (ACH), and even cryptocurrencies like bitcoin are all media for paying via payment gateways. But due to the lack of information about the payment gateways, people think it’s a complicated process to deal with. So, if you’re having questions regarding payment gateways, then don’t feel embarrassed. In this article, we have listed the most common questions that will help you to understand the payment gateway services. So, let’s get started with the answers. In this session, we hope you’ll have a clear idea about the payment gateway process and other relevant information. Online Payment Gateway is a tool for executing monetary payments via the World Wide Web with an indirect interaction with banking institutions. To put it simply, it is the way of moving money from one pocket to another the ones-and-zeroes way. It is basically a merchant service that is a virtual form of a physical ‘Point Of Service’ terminal that is found in a store or restaurant. If you don’t have this facility, then you can’t accept transactions for your online business. During placing an order online, the user’s web browser first encrypts the user information. After that, it sends it to the merchant’s web server. In this process, the Secure Socket Layer encryption method is used. The merchant then sends the details to their payment gateway which is another SSL connection. The information is then transferred to the payment processor of the merchant’s acquiring bank which again forwards it to the card association, where the transaction is validated. It takes only a few seconds to complete the entire payment process. What are different types of payment gateways? Hosted: The setup is easy in this gateway system. Here, the user will be redirected to the website’s checkout page. Pro or Self-Hosted: First, it collects the payment details from the users and then sends those details to the gateway. API or Non-Hosted: Here, the customers need to enter their credit card details in the checkout page. Local Bank Integration: This is the same as the hosted payment gateway system. Direct Payment Gateway: Recurring billing facility is available for this type of payment gateway. Platform-Based Payment Gateway Solutions: This gateway provides a platform to sell digital and physical goods directly from the host server. Recurring billing is a payment system that allows a merchant to charge a customer automatically during each billing cycle like for every week or month or even a year. This payment system simplifies payment routines for SaaS businesses offering subscription-based services. Once the customer agrees to the merchant’s terms & conditions, he pays upfront. Afterward, the required sum of money is charged from the customer’s credit card automatically. What are the fees associated with payment gateways? For different payment gateways, the associated price will vary. This usually includes the setup fees and a monthly fee. And, along with that, an adequate rate is charged with every transaction made through your credit card. Sometimes, reporting or support fees are also added to it. How can I process my payments? To avail a payment gateway service, you need to have a merchant account. And to complete it successfully, the gateway system should be integrated with your website or application and should confirm the transactions. The payment gateway manages the transactions and then deposits the money into your merchant account. A merchant account is a type of bank account that provides businesses to accept online payments or payment by debit or credit cards. A merchant account is necessary for online businesses because it allows you to accept recurring credit card payments from your customers. Also, most of the retailers are maintaining their merchant account to accept payments through POS. How do I choose my payment gateway? You can get the required services for your business from the payment gateway you choose. How can I make sure that the payment gateway I’m choosing is secure enough for my customers’ card details? Security is one of the main concerns for online transactions. Thus, you need to ensure that your payment gateway is capable of providing the PCI DSS requirements. Not only that, but it should also come with advanced firewalls, capable of detecting illegal access, and stable credit card data storage. PCI DSS stands for Payment Card Industry Data Security Standard. PCI DSS is an important factor for any organization that is dealing with online transactions. This can be a bit lengthy and time-consuming if it is not conducted properly. Mostly, PCI DSS ensures the safety and security of the customer’s credit card data and it helps to avoid financial penalties along with negative PR. To whom does the PCI DSS apply? It is applicable to any company or organization. The PCI DSS is independent of the number of transactions processed. It also doesn’t depend on the transactions that send or hold the cardholder’s data. The manual processing of online credit card transactions is controlled by the virtual terminal or VT.
Can I switch my payment gateway to another one after signing the contract? Though it is possible to change the payment gateway, there will be some charges for early termination. Therefore, you need to be sure about that and go through the contract carefully before switching. Can payment gateways be installed on eCommerce Platform or programming languages? Well, you can install an ideal payment gateway on any platform or device. But in reality, you may not find it that easy. Thus, depending on your software, you need to select the right payment gateway which will easily integrate with your system. What about supported currencies, locations, and languages? All these things vary for different payment gateway services. You need to get yourself the correct payment gateway which can meet all the specific requirements you have. What payment methods can be used through payment gateways? This completely depends on the payment gateway service. You can avail many options like pay using credit cards, PayPal, debit cards etc. If you’re aware of your customer’s payment preferences, then it becomes easier to choose the best methods. Tokenization is a special process that is kind of similar to encryption. Here, the original information is replaced with unique identification symbols that keep it safe from hacking and improvises the security. Omni-channel can be referred to as a cross-channel. It mainly determines when a customer is using the gateway while using different devices. Chargebacks can be defined as the refunds due to transaction failure or errors. When there is a dispute in the payment process, the merchant reverses the transaction and the money is sent back to the customer’s account. These are all the necessary information you need to know about payment gateways and then, you’ll be able to use it properly. For any further queries, you can contact our UAE Website Development team anytime. UAE Website Development is the one-stop destination for getting your hands upon unique web designing, highly profitable digital marketing strategies, game-changing web solutions, Mobile app development and Payment Gateway UAE services. We are recognized as a reputed company in the whole Middle-east Asia and sealed our prominence within a few years of our establishment. To say the least, we are extending our reach to the global market very quickly through our on-the-top search engine optimization, social media pulse strategies, effective content writing and also through our eye-catching design and color schema. Reach out to your target audience and let them remember your brand and its value proposition for the rest of their life with our assistance.